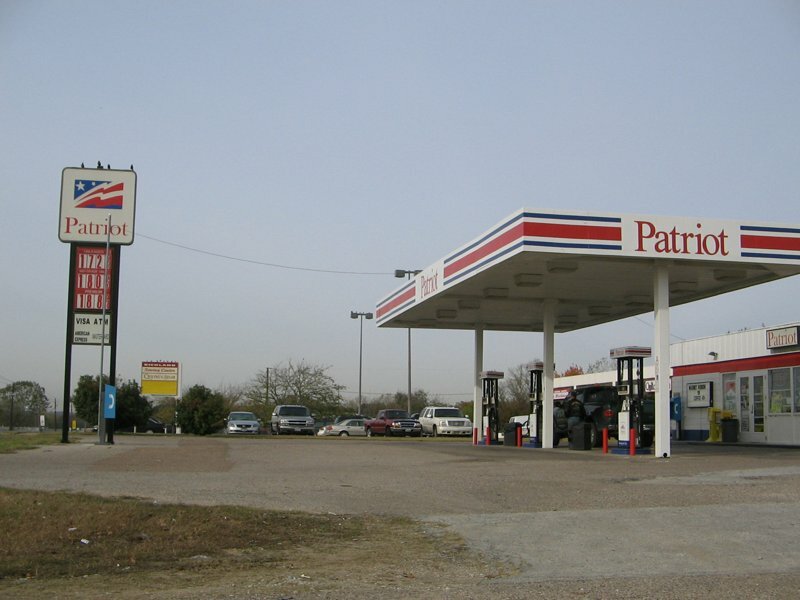 Patriot station at Sulphur Springs, Texas (TX19 at Bus. US67). No idea if there are any others. Taken July 7, 2004 by David Backlin. A view of the above station at Sulphur Springs, TX. 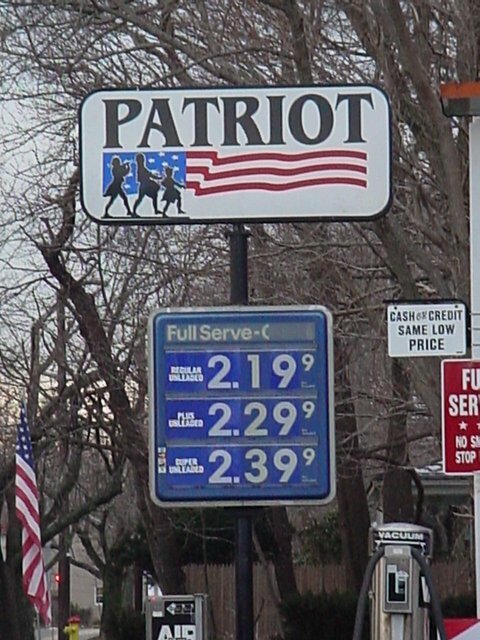 Patriot station on Pipeline Rd. in Hurst, TX. 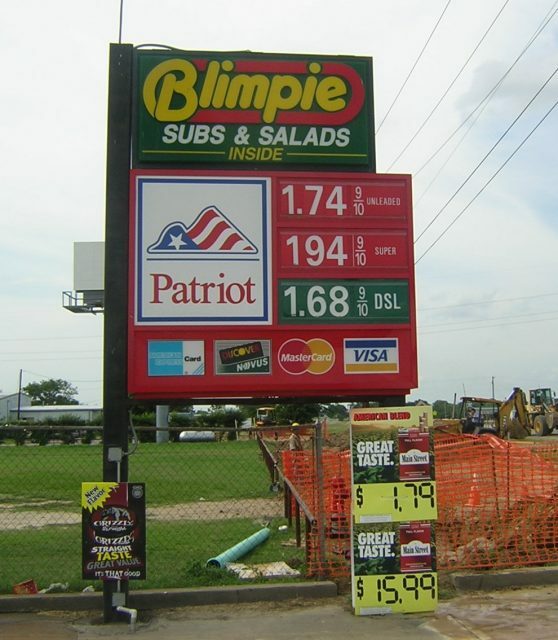 (using existing "Citgo" sign hardware). Taken Dec 4, 2004 by David Aldred. Update from David: As of March 4, 2010 this station is now a Texaco. 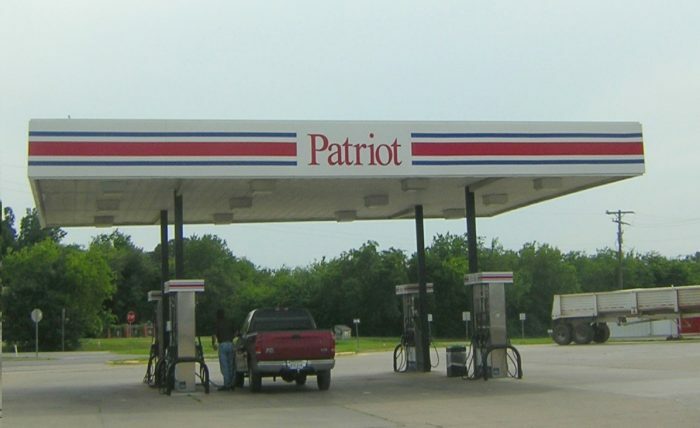 Another Patriot location, probably not related to the above Texas locations. This station was photographed in or near Boston, Massachusetts. Photo taken on March 24, 2005 by Tod Allen.